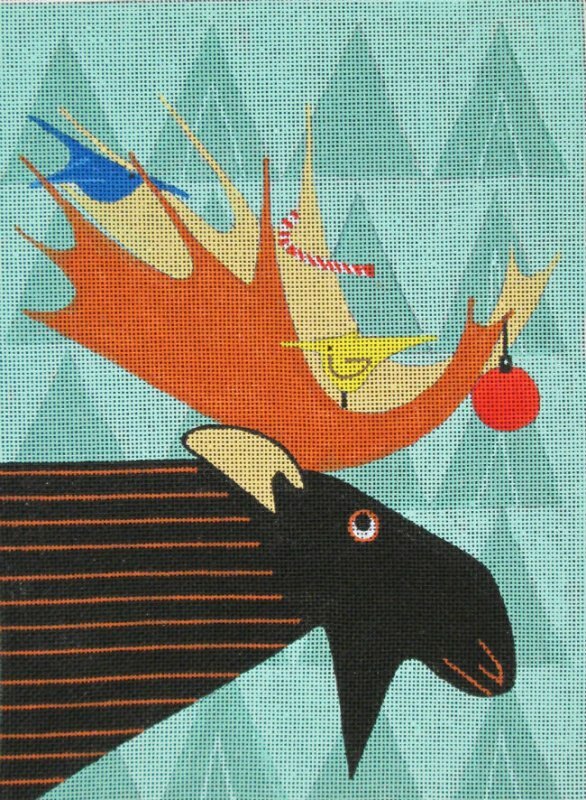 This Moose design is by Marie Samsone and is handpainted onto 18 mesh Mono Zweigart needlepoint canvas. The design area measures 7.75" x 10.5". The design is sold canvas-only or with fibers. if you select cotton we will send DMC embroidery floss; if you select wool we will send Bella Lusso boutique wool; the silk is Planet Earth Pepperpot silks. If you require stretcher bars we recommend a pair of 12" and a pair of 14". This Maggie Co. needlepoint canvas usually ships within 1 week. If it is out of stock we will let you know and you will have the option of cancelling your order. Or you can contact us to check on availability.